The Sentinel VoIP Doorstation is a loud-speaking, hands-free door station unit that secures entrances. 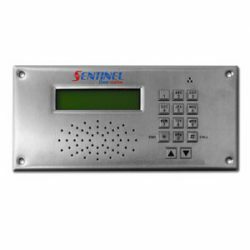 With a vandal resistant stainless steel panel it is suited for unguarded entrance ways where a rugged vandal resistant door phone / station is required. The VoIP model allows quick and easy installation and standard IP-based communications network. It uses the SIP protocol for a fast and reliable connection to modern PBX systems. 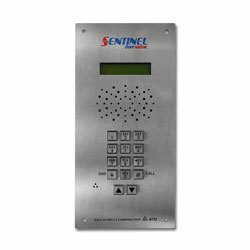 The Sentinel also provides a remote door/gate release feature that offers the ability for users to grant visitors entry when appropriate. A built in display makes it easy to find specific tenants or visitors can dial their extension directly. The standard panel size for all Sentinel units is 130mm x 270mm, custom panel sizes and layouts can be tailor made to your needs. 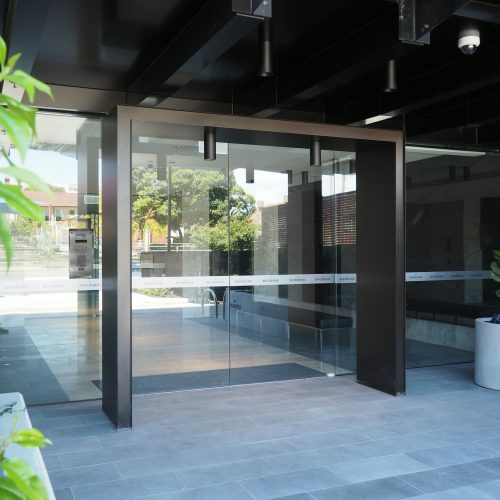 Panels are available in either vertical or horizontal, and can be anodised aluminium or stainless steel. If you require the panel to be made of different material (ie. Brass, gold-plated, etc), this too is available upon request.